Inger Lorre, front woman for the infamous Nymphs, celebrates how vital her songs still sound today, with a live recording of a sold-out show at the legendary Viper Room. 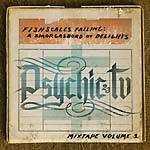 The set includes classic Nymphs tracks, "Sad & Damned", an ode to a serial killer "The Highway", the mourning swirl of "Imitating Angels", and of a cover The Banshees' "Monitor". This live album is raw and primal; tribal, glamorous, witch-y, grunge-y, and punk. 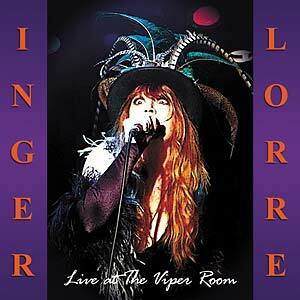 Inger states, "These songs are the sound of me walking through fire... " Lorre's cult following has grown in strength of late, with a 2016 reissue by Rock Candy Records of the Nymphs' seminal self-titled debut album, originally released in 1991, and two new songs released for Record Store Day. Encouraged by the interest, Inger is recording a new album, tentatively planned for a release in the fall of 2017. Often seen as musician's musician and having worked with the likes of Iggy Pop and Henry Rollins, sadly, Inger's notoriety has often eclipsed her darkly beautiful music. Haunted by the infamy of a band that burned brightly all too briefly, before imploding in a devastation of bereavement, addiction, mental health issues, and misguided record company dealings. "The Nymphs were a very original underground band with a unique sound and great songs" ---Iggy Pop.